Dallas Joel (Buddy) Holt, 77 years formerly of the Ella Community in Adair County, KY passed away Monday, March 12, 2018 at the Richwood Nursing and Rehab Center in LaGrange, KY.
Funeral service will be Thursday, March 15, 2018 at 10amCT, at Stotts-Phelps-McQueary Funeral Home, 210 Greensburg Street, Columbia, KY with Bro. Richard Lehman and Bro. Ernie Weber, the officiating. Interment will be in the New Hope Cemetery, 131 New Hope Cemetery Road, Columbia, KY, in the Ella Communigty of Adair County, KY. The family requests visiting after 3:30pmCT, on Wednesday, March 14, 2018, at the funeral home. He was born April 8, 1940 in Adair County, KY, the son of the late Loren Lester "Jack" & Janice Demaris Whited Holt. He died Monday, March 12, 2018, in LaGrange, Oldham County, KY, at the age of 77 years, 11 months, and four days. Besides his parents he was preceded in death by three brothers, Billy Joe Holt, James Gregory Holt, and Jerry David Holt. 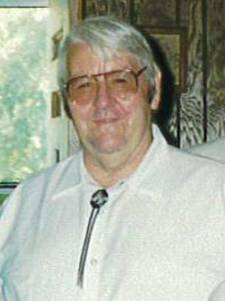 Buddy was a member of the Millerfield Brethren in Christ Church and a farmer. Stotts-Phelps-McQueary Funeral Home, 210 Greensburg Street, Columbia, KY, is in charge of arrangements. 2018-03-13 - 210 Greensburg Street, Columbia, KY - Photo Stotts-Phelps-McQueary Funeral Home. Read More... | Comments? | Click here to share, print, or bookmark this photo.